When I finally decided to get really serious about losing weight, I had no alternative but to develop PATIENCE. Quick fixes?! Not a permanent options! Awful tasting food and shakes?! None for me thanks! Diet pills? Nope, didn't want that either. Pastor said something one day that rings in my head now on a daily basis, "I REFUES TO TAKE IN A DIET THAT IS NOT HEALTHY FOR ME." All I had to do was just say NO!! Now it does take time. I most certainly did not get this way overnight so to think I can drink it off, pill it off, starve it off in 10 days is a bunch of MALARKEY!!! The body takes a long time to build up, and it takes a long time to wear down. I believe the longer we stick to something the easier it will get. Let me give you another mantra from this wise man "30 days is a practice, 60 days is a discipline but 90 days is a lifestyle!!!" Is that profound or what?! I'm moving toward the point where it no longer becomes someting I have to think about daily but becomes something that comes natural daily. ABUNDANT HEALTH, DIVINE HEALTH that is what I am walking in. Diets come and go but for me, because life and death lie within the power of the tongue, I choose LIFE. I choose ABUNDANCE. I will not leave this earth prematurely due to poor health brought on by my lack of discipline. I am a spirit, I have a soul, and I live in a body. I am SPIRIT!!! I am wealthy! PHYSICALLY. The power of my Christ nature empowers me now to do this. I speak life and because I say it, IT GOTTA HAPPEN!!! ...Consider it a sheer gift, friends, when tests and challenges come at you from all sides. You know that under pressure, your faith-life is forced into the open and shows its true colors. So don't try to get out of anything prematurely. Let it do its work so you become mature and well-developed, not deficient in any way.~James 2-4, Message Bible~ When I finally decided to get really serious about losing weight, I had no alternative but to develop PATIENCE. Quick fixes?! Not a permanent options! Awful tasting food and shakes?! None for me thanks! Diet pills? Nope, didn't want that either. 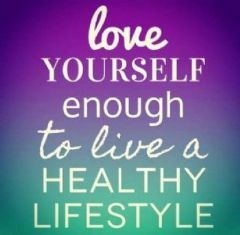 Pastor said something one day that rings in my head now on a daily basis, "I REFUES TO TAKE IN A DIET THAT IS NOT HEALTHY FOR ME." All I had to do was just say NO!! Now it does take time. I most certainly did not get this way overnight so to think I can drink it off, pill it off, starve it off in 10 days is a bunch of MALARKEY!!! The body takes a long time to build up, and it takes a long time to wear down. I believe the longer we stick to something the easier it will get. Let me give you another mantra from this wise man "30 days is a practice, 60 days is a discipline but 90 days is a lifestyle!!!" Is that profound or what?! I'm moving toward the point where it no longer becomes someting I have to think about daily but becomes something that comes natural daily. ABUNDANT HEALTH, DIVINE HEALTH that is what I am walking in. Diets come and go but for me, because life and death lie within the power of the tongue, I choose LIFE. I choose ABUNDANCE. I will not leave this earth prematurely due to poor health brought on by my lack of discipline. I am a spirit, I have a soul, and I live in a body. I am SPIRIT!!! I am wealthy! PHYSICALLY. The power of my Christ nature empowers me now to do this. I speak life and because I say it, IT GOTTA HAPPEN!!! Good Morning ,Sending Blessings you way. Thought I would spare my thoughts with you today. 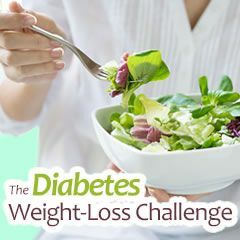 What can I do (We Do) in the next 30 days to improve our health and lose a few pounds? 3x a week, because I think I need to build up my muscles a bit. What change can you make for September ? Even the smallest change can make a difference.!!! I read this today and thought I would share it. "Set your intentions for the week ahead. People who plan archive"
My intentions is to do exactly what I have been doing, because it seems to be working for me. What's your intentions for the week ? Lets make it a Win Win Week wit a Loss on the scale!! !